In addition to the model airplanes my friend builds, he also does military vehicles so I borrowed his M-4 Sherman Tank and made photos of it. 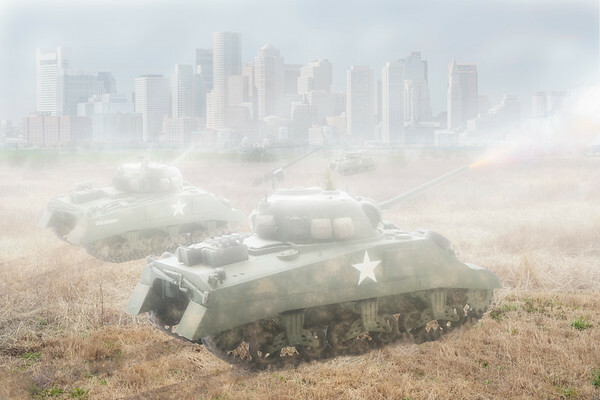 I also photographed an empty field near my house and created this WWII battle scene using images of tanks, the field and fire and smoke from images I captured a the Liendo Civil War re-enactment. I added a photo I made of the Boston skyline to complete the image. When people think of battlefields, most don't realize just how much smoke encompasses everything.